This week’s challenge is Room. This photo was taken last summer at my husband’s grandparents’ home, where they had lived since 1971. My husband and I slept in the twin beds that were in the master bedroom, the “butterfly room.” The house was on the market and sold shortly after our trip. This entry was posted in Family, Michigan and tagged Butterflies, Butterfly, Michigan, Postaday, Room, Summer, Torch Lake, Weekly Photo Challenge. Bookmark the permalink. Wonderful caption with the mirror. Wonderful glimpse into what rooms looked like all over the country at one time. Yes, I wish I had taken more photos of not just that room, but the other rooms in the house as well. Good shot, Lani. I like the composition! love this photo/room. 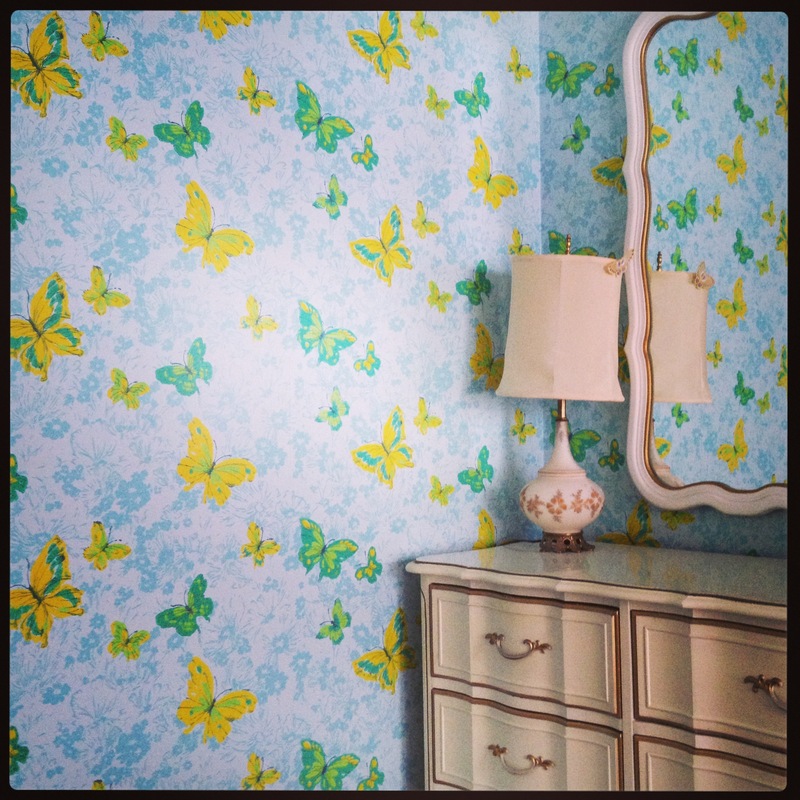 why did wallpaper go out of fashion? stunning photo! It’s not out of fashion in Grosse Pointe! x.o. It was overwhelming at first, but then I started really liking it!